Chicken wings at Buffalo Niagara Airport (from my flickr photos). Just returned from a trip to the USA. No trip would be complete without having chicken wings in Buffalo. 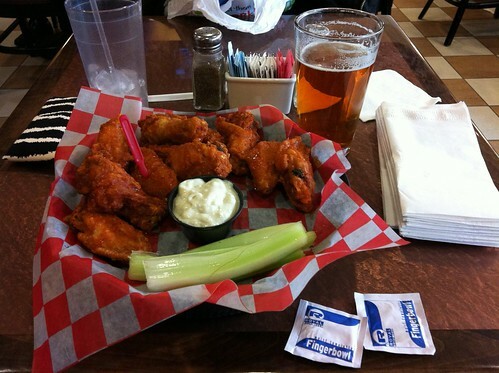 Here’s a photo of the wings I had at the Anchor Bar restaurant in Buffalo Niagara Airport. They were pretty good! Yum. Love wings. We make ’em at home now using Anchor Bar’s recipe. I really like it when airports or transport stations in general make an effort to include some local “culture” in their food offerings … and what could be more local than Anchor Bar Chicken Wings in Buffalo … quite good too!